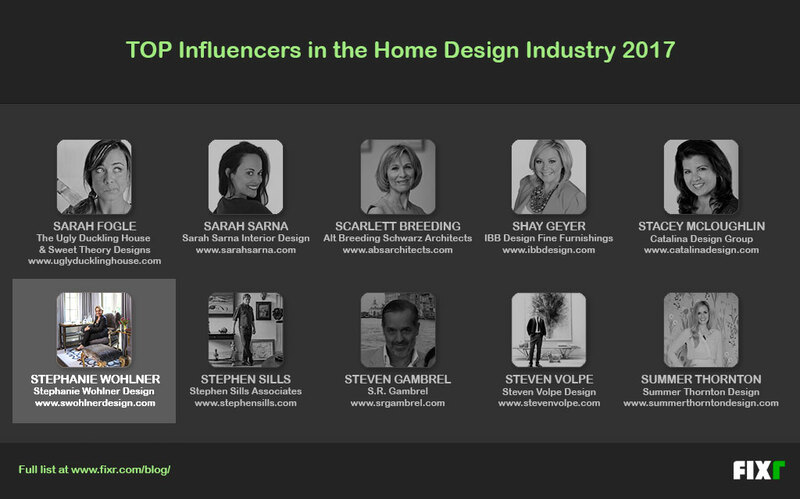 Fixr compiled a list of the top 200 influencers in the home design industry from around the U.S. The selections are based on the designer's presence online, his/her social media activity, and on the awards won. The list of home design influencers consists of nation-wide industry experts including interior designers, home stagers, home designers, and other home design specialists. They were found through their contributions to blogs, news, and social media, selecting them based on criteria such as how big their online following is and often their name or business appears in top industry lists, as well as for awards they’ve won. Read more about Fixr's Top 200 Influencers in the Home Design Industry 2017 here.